TEAM Rapid is based in Zhongshan, China. We have over 10 CNC machines, tapping, EDM and injection machines here in our factory. Most of our team players have over 10 years working experience in rapid prototyping and rapid tooling. We can guarantee you can receive the best from the first enquiry to final delivery of your prototypes and products. Rapid Tooling Service is one of special fields of quick service for small to medium volume plastic injection molded parts. Al 7075, P20, NAK80 are the popular steel being used in rapid tooling. With our MUD system and insert interchangeable system, we can build a mold tool in as little as 5 days. 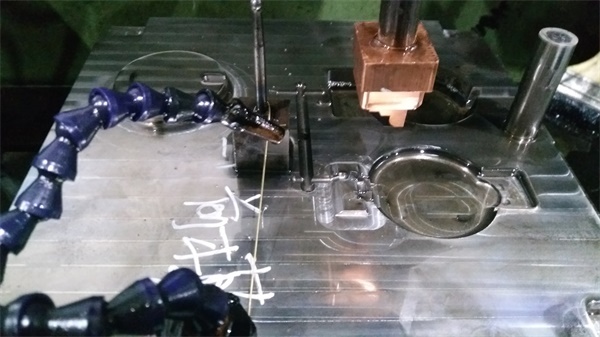 Quality control process is applied in every step of tool building, we usually get the approval samples on T1 or T2 stage, this allows you for moving forward to production in a quick time. Why choose our rapid tooling service? 1. Quick Response - Instant communication, provide you with a quote within 24 hours or less. 2. Competitive price – MUD system with lower tooling cost. 4. Professional Analysis – The best suggestion to optimize your design and lower the cost. 5. Timely Report – We will inform you timely to show you the details you want to know. 6. Full Service – One-stop service from rapid prototype, rapid tooling to volume production.